People are always posting on message boards about what type of gi is best for them and those of us who’ve been on them forever see the same answers time and time again. The thing is, that on each message board, there are popular answers that are not ever mentioned on other boards. In this article, we’ll discuss the best gis for skinny and lean guys. Are you a bigger guy, like me? Don’t worry, we have you covered with an article about the best gis for big guys. Hey, skinny guys (and gals)! If you are over 6’ and under 200lbs, or under 6’ and under 170, we’re probably talking to you. 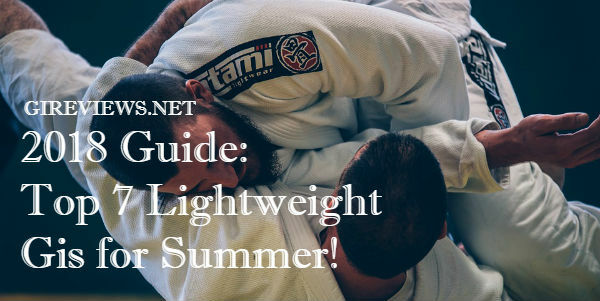 You guys struggle because every time you get a gi that fits the length of your arms and legs, you can probably wrap it around you twice, and the girth of the sleeves and pant legs are twice what you need. Luckily, there are gis out there that come highly recommended for you. Here’s a solid list of gis that are sure to fit you. Un-decorated save for two branded SK tags, the Standard Issue Semi Custom comes with eight woven patches for you to decorate the gi as you see fit. Patches can be ironed on however it is recommended to sew. I have my own brand and could easily choose to only wear my own gis in competition, so I hope it’s not lost on anybody how significant it is that I choose to patch up and wear the Scramble Athlete gi and put it into my regular rotation. The combination of fit, design, and quality really put it far above so many other gis out there. And for $15-$20 cheaper than what some companies would charge for this, I think Scramble really wins here. 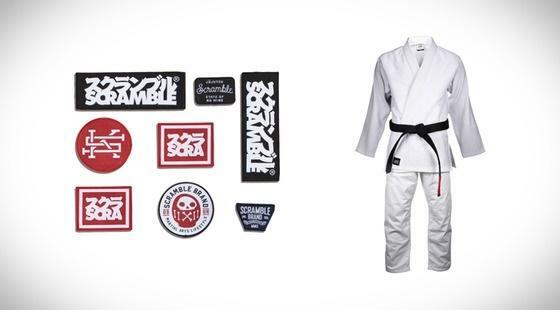 Is the Scramble Athlete Gi Version 2 for you? Visit Amazon now! I would highly recommend this gi to anybody looking for a solid mid-range gi. I think that the Estilo easily competes with brands like Moya Brand and Shoyoroll, but at a much lower price point. I love the fact that they now offer specialty sizes, making it perfect for lanky and lean grapplers. The fact that you can get them from so many places also means that, using the link below, you can almost always find one for sale, which is nice. 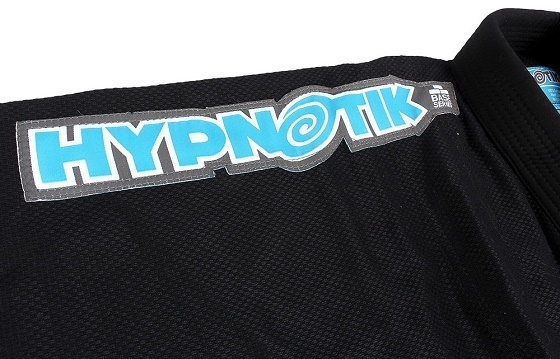 The Hypnotik Base Gi features a terrific fit and is tapered in the most important areas. This gi features a 450gsm Hybrid weave jacket, and comes with heavy cotton reinforcements in all areas. The pants have also been upgraded to a 10oz Twill making them heavier and more resilient than traditional twill cotton pants. Of the gis I’ve reviewed, the Lanky FG Pro 550 V1 is by far the best fitting which is a hugely valuable feature. The gi itself is beautiful with lots of details that make it both fun and tough looking at the same time. I would definitely recommend this gi to anyone interested in buying a perfect gi for somebody tall and slender. 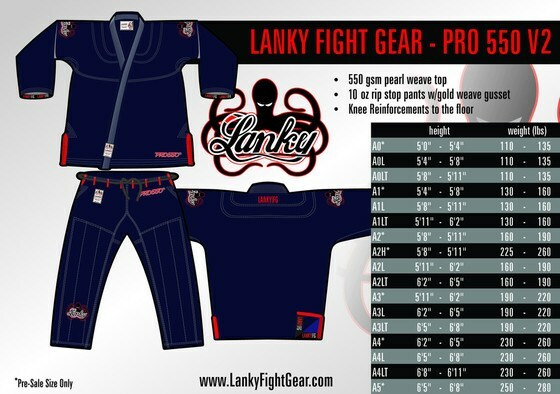 Read our review on Lanky Fight Gear’s top gi! The Tatami Nova is a better fitting Gi than most ‘Basic’ models and is tapered in all the key areas. The Nova now features a 450gsm Hybrid weave jacket with heavy cotton reinforcements in all areas. The pants have been upgraded to a 9oz poly cotton blend making them heavier and more resilient than the older 8oz twill cotton. 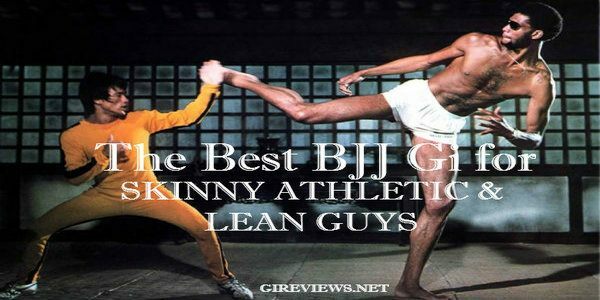 Looking for a specific lanky or skinny bjj gi review? 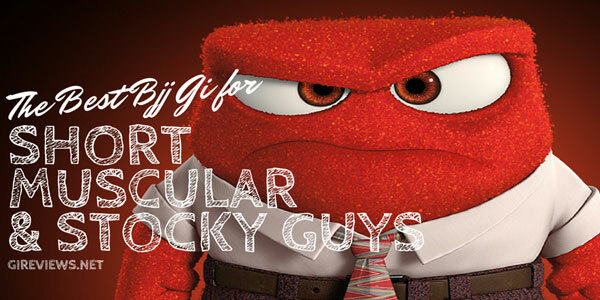 Check out all of the GiReviews.Net reviews here. That happens to me too! But only with my Fuji. And they’re notorious for that. But I really appreciate the suggestion and you taking the time to post. Do you have any other suggestions for gis for skinny guys and gals? All of the brands I’ve listed have a size for those mentioned in this article. I have a Redstar A2L, a Killer Bee in A3, a Keiko A3 (arms are a tad short, but still comp-legal), and a Shoyoroll in A3S. These gis that I own are in order of my preference. 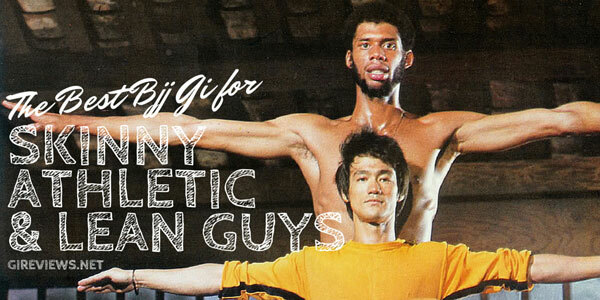 I have long, lanky arms, I’m skinny, and I’m tall, so it was not easy looking for a gi. At one point, I even considered having a gi custom made! After shopping around for a year now, trying out a lot of different brands, I’ve compiled that list. I still plan to buy the others, so stay tuned and I’ll let you know how they fit! Abi. Your comment was so informative, I hope you don’t mind that I added it to the article!!! THANK YOU! I just wanted to reiterate that I’m about 6’2″ and 165 pounds, and I have long gangly arms (longer than even my friend who is 6’5 and 188 pounds). The Gorilla Fight Gear gi is really for those super-skinny, super-tall guys. I would say it’s for guys that are tall and “really” skinny. It’s built like a tank and I highly recommend it. It is a heavy weight gold-weave, so I would think twice about training in the summer with it. I’m curious to see how an A4S will fit, so if I do get a hold of that I will update here once again. I had to take the dive and grab a Fushida. Everyone was raving about it. It received the number 1 spot in this year’s Aesopian list, and it was only a matter of time before I bit the bullet and ordered one. I’m glad I did. Whoever is at the top of that list of companies has some serious competition. The fit is amazing! A true competition cut and feel. The pants are a little heavy, but that’s just the way I like them for training. I’m really surprised that I hear so little about CTRL Industries. The Supreme Standard is fast becoming my favorite gi to roll in. I’d say it’s a bit wider than the GFG, but definitely one to keep in mind for the skinny folks and, of the three I listed in this update, is definitely my favorite. The other two, however, are certainly not far behind. 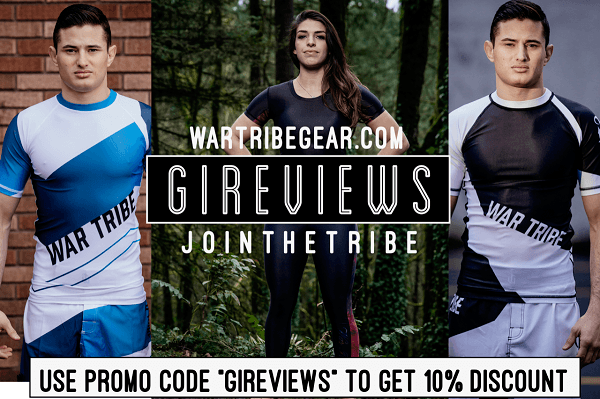 I hope this helps for all of those BJJ enthusiasts who are “in-between” sizes. Good luck! We’re HUGE fans of CTRL (as you can probably tell from our Rook review haha). I’m putting together the ebook and will make sure this gets in there! Great point Miha. That’s really heavy for a lightweight gi. I’ve tried to stay away from the Bad Boy gis. When they first came out, they had a huge body and short arms. Just an awful cut for most people. I see they’re working on more sizes though so that may have changed. Just to complete the list. Tatami will be offering inbetween sizes by mid-summer 2012. They told me like a A2x and A2L amongst others. Basically replacing their mix and match pant options with proper mid range sizes. Also, and this might not work on all of theirs but I’m 6ft1 175 or so and wear an A2 Bull Terrier and it fits great…but I do have shorter legs at like 32-32 in jeans. I battle this problem and have owned 6 different gi’s. I’m 6-1″ and my weight is anywhere from 155-165 on any given day. My first gi wasn’t purchased by me or even for me. It was purchased for someone that was 5-8 120 lbs. It was an Adidas special addition jiu jitsu gi. Their sizing chart is by cm and they got the 180 cm gi for the really small gi (5-5″ – 5-8″ they don’t list weight). This today is probably the best fitting gi I own. It’s pretty old and beat up so I don’t wear it too often but it’s a great fit, plus it was only $70 in 2009. From there I bought my first gi and it was an Atama new gold weave. It was only 150 when I got it, but in the last year their prices have sky rocketed. It was a little big in the chest and the arms were too short for me but still the softest and most comfortable gi I own. My third gi was the Keiko Raca special gi. Got a A3 and it fits great. Good length in the arms and nice fit around my waist but it’s a double weave gi and mine is black so it’s pretty hot to train in so I don’t wear it here in Oklahoma too often. My 4th gi was the Shoyoroll Americana size A3s. I liked the idea of having a gi that the world wouldn’t have plus a size that would fit me better. The sleeves were LONG. After washing and drying several times, just wasn’t going to fit me in the arms. The jacket was fine through the mid section but the sleeves were to my fingertips. My 4th and 5th were the same gi, Jiu jitsu progear rip stop gi’s. I bought two because from the size chart, I would wear a A2. I was wrong. fit until I washed it (didn’t dry it either) and then the arms were to mid forearm. I loved how light it was though for the money so I purchased a second one in a3. It fits good in length, but a little baggy on me. But for $100, not a bad training gi. I got a little ripstop happy after that gi, I loved how light it was, but the collar was so thin it was like having a belt around my neck getting choked. I was looking into buying a koral light weight but saw a Hakai ripstop gi for $100 in a A3 so I decided to purchase it. Great fit through the arms but again too baggy. So by this time, I was just thinking the Keiko was just going to be my best bet at a good fit for my body (but I don’t want a bunch of the same gi’s because I’m weird like that). A smaller guy in our gym was selling a shoyoroll A2 and I just wanted to try it on to see the fit of the A2 knowing the A3 was huge and the A3s was too long. Low and behold it was a perfect fit. Sleeves went to palm, chest and belly area were perfect. I now know that the shoyoroll A2 is going to fit me perfect so I will just wear those and the Keiko Raca A3 for now on. I just recently sold my americana and purchased (for a lot of money I may add) the shoyoroll uniblue. It is one awesome gi and better yet, I won’t see anyone wearing it in Oklahoma or Texas where I usually do tournaments which is a huge plus. Believe me, 350 for a rare gi, that fits perfectly, and will be pretty much a one of a kind is worth every penny for me. It just sold me on next years GUMA by shoyoroll if they have it. I’ll buy every gi they have. Just to add to those already mentioned, you can pick up the Ronin Samurai in inbetween sizes, I recently purchased an A2L. Also Tatami are producing the Estilo in other sizes including A2L and A2XL. Red Star should be near the top of this list, not just a brand worth considering. there regular gi is a leaner fit then most companies, and the have a1L and a2L sizes which are even lankier. and as a bonus, they are a super high quality gi. I think the Howard gi should get special mention. They have like ten sizes and they’re almost guaranteed to have one that will fit. Not just one that “runs a little slim” like they say about the Keiko Raca. I’m 6’3 and around 175 pounds, HCK’s 5.75 fits perfectly. Da Firma Kimono Company! 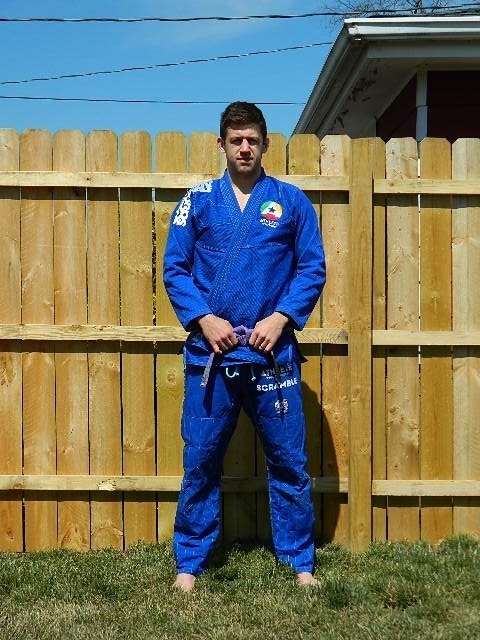 http://www.dafirmabjj.com has an A2L that fit me perfect and is still my favorite, I am 6’1” 190, also it doesn’t shrink at all, some other gi’s i have had even washing them as prescribed and air drying as read in directions, the sleeves start creeping up! but my DFKC is great! Also Competidor A3 top fits more snug than most A3’s so its not so baggy, not bad for out of the bag, my second favorite! No i am not sponsored just my personal favorites…. haha, no worries! When the gis are restocked, definitely check out the A2T from Ok Kimonos as well! As you can tell by our name, Lanky Fight Gear, we cater specifically to this demographic. We would love to be included in your list of gis for Tall and Skinny people. Thanks! I have an Inverted Gear A1 slim, Its fine despite the fact the colors faded in the top after one wash (cold, hang dry), the sleeves are a bit wide on my frame (135lbs 5’11). the waist and shoulders fit well though. Its very disappointing to have the color fade like it did, has light blue streaks in it now 🙁 will still roll in it. Nice! Check out the a1T in ok kimonos at some point. it should fit you well! I am biased since I own the company KillerBeeGi. But in most cases we can have a custom gi fitted to your body type, in your hands in about 60 days or less than 30 if you Rush Order it. It does take some work from the customer though but I have made a guide for how to size a custom gi to your body. You read more about it from my website. http://www.killerbeegi.com. Thanks. As mentioned below, the Tatami site has some great fits for tall and slim… like the A2XL. Im still looking for a GI that comes in my size, im 6.5 almost 6.6 and I weigh 227 pounds.